On this day in 2015, Elon Musk’s space company made history. 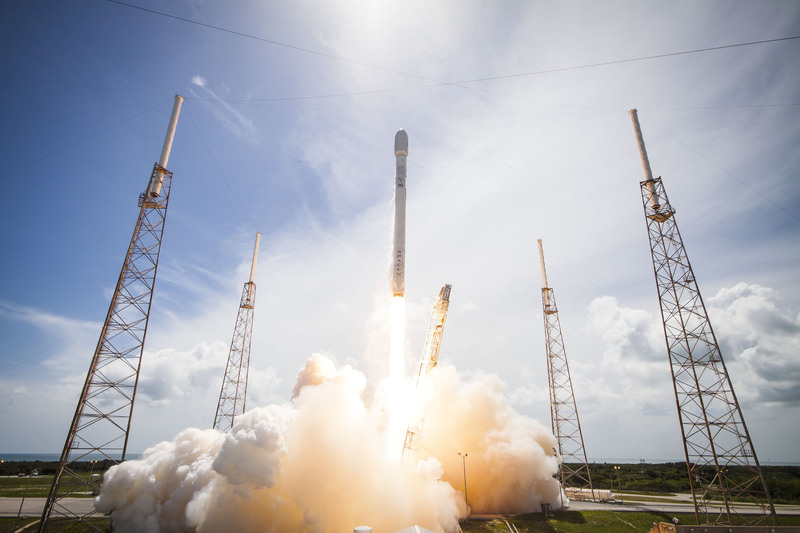 SpaceX became the first organization to land a rocket back on Earth after an orbital mission. The success of the ORBCOMM-2 mission wasn’t the mission — which merely put communications satellites into space — it was the landing. The Falcon 9 rocket launched from Florida’s Cape Canaveral Air Force Station at 8.29 p.m. Eastern on December 21, 2015. Moments after deploying the satellites, the rocket began its descent to “Landing Zone 1,” where cameras linked up to the SpaceX mission control in Hawthorne, California relayed the good news to scientists on the edge of their seats. In a clip released by the National Geographic Channel to promote it series called MARS, we see Musk watching the night sky in Florida outside Landing Zone 1. “OK, this is bad,” Musk says as he looks upward, worried the thrusters to slow the rocket’s velocity might not fire. Then, with a burst, they kick on and the rocket makes its descent and safely lands. Musk sprints back into the control room, and high fives people. “What? Holy smokes, man,” he exhales. Dramatic as it is, the Falcon 9 wasn’t the first rocket to land safely on Earth. Blue Origin, the space company started by Amazon founder Jeff Bezos, made history earlier that month with the first reusable rocket landing. The New Shepard rocket, however, never crossed the Karmin line, typically used to define where outer space begins and ends. Like most feats of human accomplishment, SpaceX had plenty of failures along the way. In January and April of that year, the company attempted an offshore first-stage landing, both of which ended in failure, crashing on the deck of a droneship. The breakthrough meant great progress towards Musk’s bigger dreams. “It’s kind of amazing that this window of opportunity has opened for life to go beyond Earth, and we just don’t know how long that window’s going to be open,” Musk says in the same MARS clip. SpaceX executed a safe landing of the Falcon 9 on terra firma a second time, on July 18 after completing the CRS-9 resupply mission to the International Space Station. Every other landing attempt involved the droneship Of Course I Still Love, floating in the Atlantic. It took SpaceX six attempts to perfect the droneship landing. There are more missions to come in the new year. EchoStar is reportedly set to work with SpaceX on a Falcon 9 satellite mission scheduled for January 8 or 9. The mission will provide direct-to-home television broadcasts in Brazil, but Musk is setting his sights on bigger goals. “Creating the self-sustaining civilization on Mars would be the greatest adventure ever in human history,” Musk said at the launch.